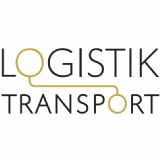 Logistics & Transport is the leading logistics and transport trade fair and conference in Scandinavia. This is a key venue - the place to meet the entire industry and make the right contacts. All the important players will be in place - either as exhibitors or visitors! Logistik & Transport presents the fullest exhibit of forklifts.